Looking for a new place to live or just curious about what's on the market? We've compiled some of our favorite open houses this weekend that will keep you warm year-round with there beautiful fireplaces. 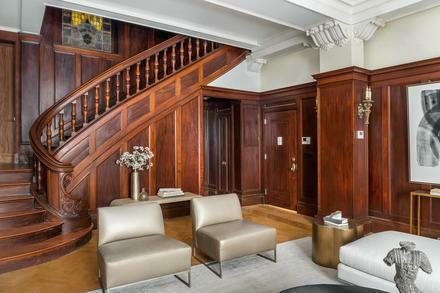 Enter into this duplex home to find a great room with 12' ceilings, a massive 8' high marble wood burning fireplace, painstakingly restored wood paneling, and a sweeping staircase, featured in Boardwalk Empire, with 11' high stained glass window, which ascends up to the bedrooms. 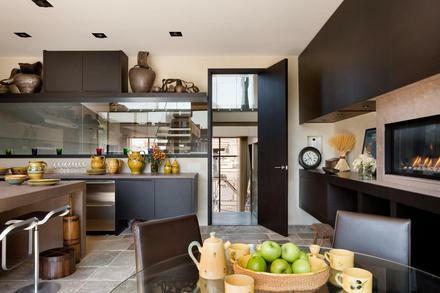 Not two but three Penthouses have been meticulously combined and renovated by a real innovator and visionary. Upon entering this amazing residence, you are greeted with regal and custom designed doors that were flown in from Paris. The charm, the beauty, the abundance of light, the 20 foot tall windows, and the never ending 36 foot ceiling height is the perfect scene no matter if you are starting or ending your day. The entire residence was masterfully designed for every standard and style of living. With an interior measuring about 7000 feet and exterior just shy of 4,000 sf, this residence opens into the main living area the perfect venue to host many occasions and future celebrations with it's 85 foot living room. 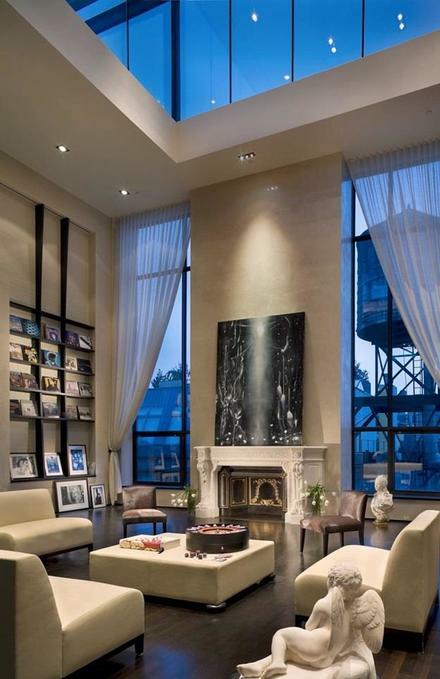 This ultra-luxurious apartment has a separate wing that is home to it's 4 bedrooms and 4 bathrooms. Best of all the Master bedroom sits on its own level and you'll enjoy the massive spa like bathroom with soaking tub, separate shower and your own private terrace with jacuzzi tub. Open, bright, airy home boasting views from every room. In addition to the heated gunite bayside pool, enjoy swimming, boating, kayaking, jet skiing, and more right from your backyard. Perfect for entertaining. 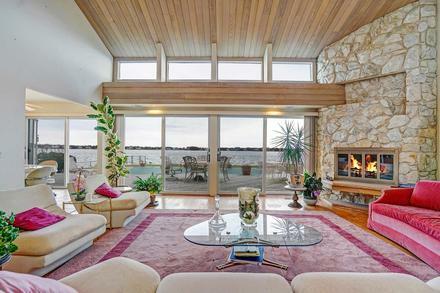 Summer months will be much more pleasant in your home on the bay.